Italian Meringue Buttercream is such an incredibly delicious, luxurious frosting, and it is fabulous for cake decorating. See how we make it, in this helpful tutorial. Taking a small saucepan, pour in 1 cup of sugar, then pour the water over the top. Place a candy thermometer in the saucepan, and start to heat on low. Once the mixture has started to dissolve, turn up the heat to medium. Do not stir the sugar water at all. Wait for the syrup to come to about 230F. 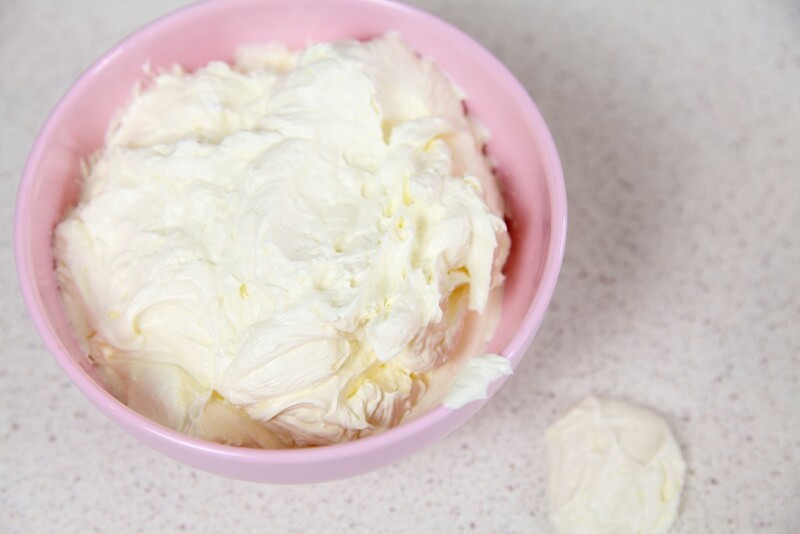 Pour your egg whites into a standing mixer bowl, and whip on low, until they start to froth a little. Then turn the speed up to medium-high. Add the extra 1/4 cup of sugar in a slow, steady stream just after the eggs have started to stiffen and continue whipping until the meringue no longer slides in the bowl. You know it\'s ready when the bowl can be tipped upside down, and it doesn\'t fall out. Whipping the egg whites doesn\'t take long and by the time that is done, your sugar should have reached 245F, just right! Turn the mixer on high speed and pour the syrup slowly into the egg whites. Beat the icing for 10-15 minutes. You are aiming for the bowl to return to right around room temp. Whilst the mixer is at medium, add the softened butter, one piece at a time. Count to 10-12 before adding another piece, and that way you know it\'s fully incorporated. Scrape down the bowl a couple of times during this process. Once all of the butter is added, turn the speed to high, and beat for 10-15 minutes. Then pour in your vanilla extract and mix one last time to combine.